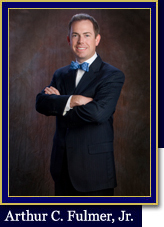 Lakeland Florida Personal Injury, Criminal Defense and Family Law Attorneys in Polk County. 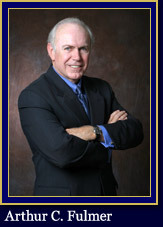 The Law Firm of Fulmer & Fulmer, PA represents clients who wish to resolve legal matters with speed and dignity. Our Lakeland Florida personal injury attorneys are committed to providing clients with trusted legal representation from over 35 years of experience in complex litigation and trial law in Lakeland, Bartow, Winter Haven and throughout Polk County FL. The knowledge and experience of the Central Florida judicial system offered by our dedicated lawyers, ensures that our clients experience the most successful outcome possible for a broad range of legal areas. We understand the challenges of life changes. Divorce, personal injury, and criminal charges are all unfortunate realities which are often too overwhelming to face alone. But our Lakeland law firm is equipped with exceptional skills in mediation and litigation to help you through the most arduous times. 1960 East Edgewood Dr., Lakeland, FL 33803 ... Tap on the map once to enable zooming.